For over 25 years the Southport Spring Festival has been a tradition in this coastal area that brings thousands of people together to welcome in spring. The festival is held from 10 a.m. to 5 p.m. on Friday, April 18 and 10 a.m. to 4 p.m. on Saturday, April 19, 2014 at Franklin Square Park, E. West Street, Southport, NC. 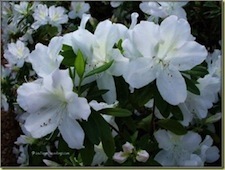 This year’s festival includes musical entertainment, handmade arts and crafts, lots of children’s activities, blooming azaleas and other plants for sale, and plenty of food vendors. Don’t miss the Chili Cook-Off where you’ll get to vote for the People’s Choice Award. Single 2 oz. chili samples will be served from 11 a.m. to 2 p.m. to those who have purchased a Chili Tasting Ticket. Each tasting ticket entitles the purchaser to a vote in the contest. Votes will be by written ballot distributed at the time the ticket is sold. Winners of the cook-off will be announced at 3:30 p.m. and prizes will be awarded on the festival stage. Another high point of the weekend is the 5th Annual Kiwanis 5k Run/Walk on Saturday, April 19. The 5,000 meter 5K Run/Walk follows a clock-wise course through historic Southport and along the waterfront of the Cape Fear River. The course is paved asphalt and is mostly flat. The run/walk starts at 8 a.m. at Waterfront Park. Entry fee prior to April 19 is $20. On race day the fee is $25. 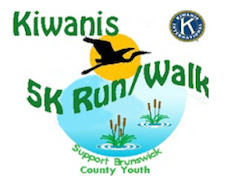 Entry fee includes a Kiwanis 5K tee shirt in sizes and quantities while they last. Registration and shirt pick-up will take place Friday, April 18 from 4 to 7 p.m. at the North Carolina Maritime Museum, 204 E. Moore Street, Southport. Registration fees are non-refundable. Awards for 1st, 2nd and 3rd overall men and women’s finishers. Age group awards go to top three in each of nine age groups. The festival is sponsored by Downtown Southport, Inc. and the Southport-Oak Island Kiwanis Club. For general information about the event contact Downtown Southport Inc at (910) 279-4616. For information about the Craft Show contact Marion Martin at (910) 620-2308. For information about area accommodations contact Sloane Vacations at (866) 931-5201. Next Next post: We’re Giving Away a Free 1 or 2 Night’s Stay!